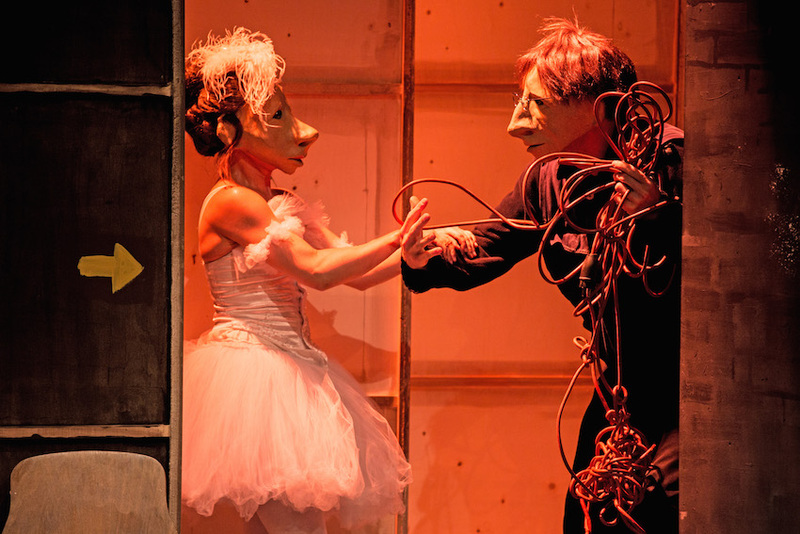 The 17th edition of FIMFA Lx - International Festival of Puppetry and Animated Forms opens with the virtuosos of the German mask with one of its most internationally awarded shows! Unmissable! Conceived by: Paco González, Björn Leese, Hajo Schüler, Michael Vogel Performers: Sebastian Kautz, Daniel Matheus, Dana Schmidt Direction and set design: Michael Vogel Masks: Hajo Schüler Costumes: Eliseu R. Weide Sound design: Dirk Schröder Lighting design: Reinhard Hubert Production management: Gianni Bettucci Lighting technicians: Sylvain Faye, Max Rux Sound technicians: Florian Mönks, Thomas Wacker Photography: Gabriele Zucca, Pierre Borrasci, Simona Boccedi, Valeria Tomasulo Co-production: Familie Flöz, Arena Berlin, Theaterhaus Stuttgart Technique: Masks and puppets Language: Without words For audiences over: +8 Running time: 80 min. 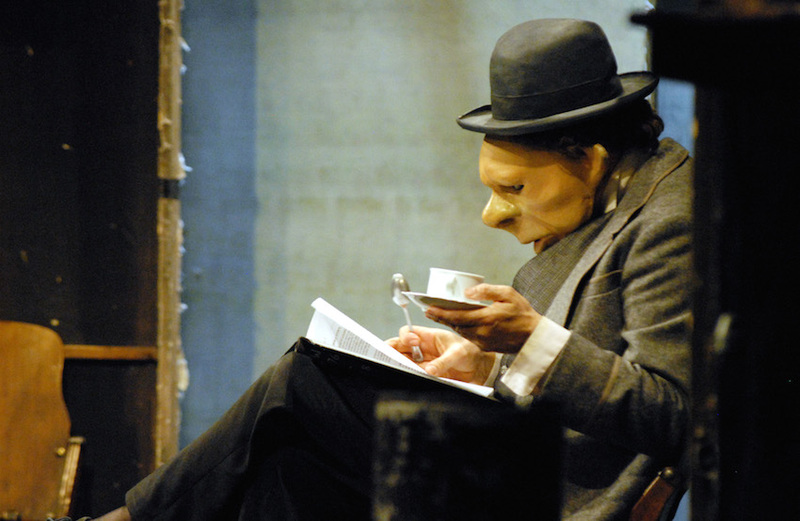 Germany’s mask-theatre virtuosos return to FIMFA with an award-winning comedy, Teatro Delusio! On stage at a great opera house the action throbs with grand passion, deadly intrigue, heartbreak and heroics. But in Teatro Delusio the spotlight shines exclusively on events backstage. Separated from the famous stars by nothing more than scenery and curtains, three tireless technicians live out their own theatrical dreams and dramas. Their lives, which usually remain hidden, now recede into the light. With their wonderfully expressive masks and amazing quick-change artistry, three actors play some thirty different characters and bring an entire theatre to life. 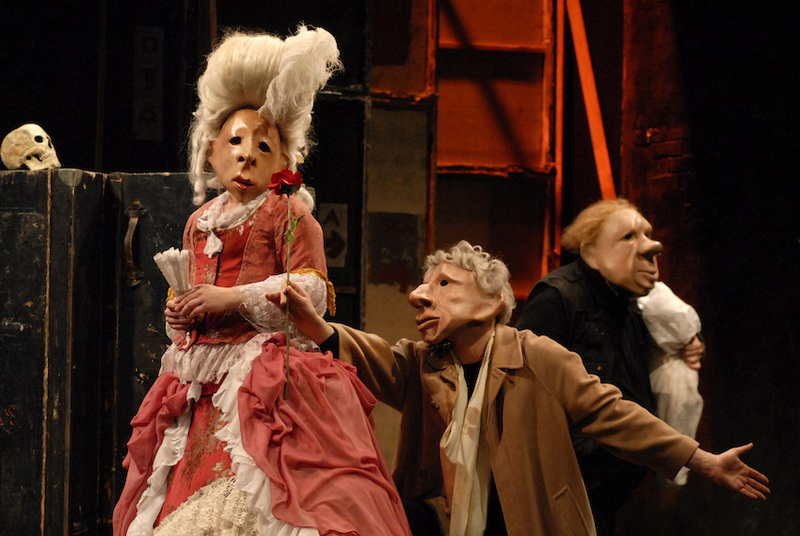 Teatro Delusio is once again the art to say everything without a single word. This show picked up no fewer than seven 5 stars reviews at the 2016 Edinburgh Fringe Festival. "Splendid and immensely skillful character comedy." “Familie Flöz’s magnificent production of Teatro Delusio is an absolute triumph. This is masked theatre at the very pinnacle of the genre and is an absolute joy to watch. (...) There’s more than a touch of slapstick humour performed with style and panache by this superb cast who give a masterclass in mask work where no words are necessary to portray a moving and powerful story. (...) This is one performance you should not miss - it’s superb." 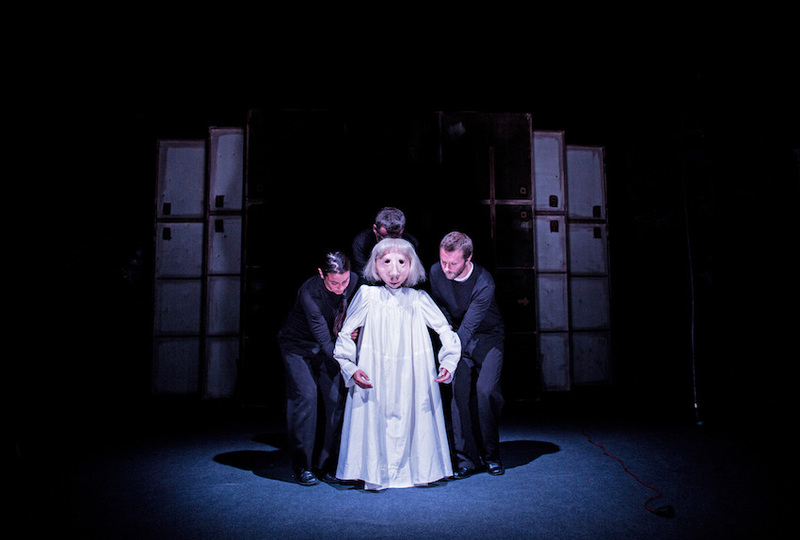 "Possibly the most beautiful show you will watch at the Edinburgh Fringe this year, Teatro Delusio is a marvel: original, stunningly choreographed, very funny and incredibly moving. This is physical theatre at its zenith. (...) Every possible figure encountered in a performing arts environment is replicated in an eerily convincing manner, capturing all the hilarity, hope and heartbreak that exists within the world of theatre. (...) From the very first moment, when the puppet ghost child is animated and brought to life by the three actors, you know you are in for a good show. Well-known classics such as Barber’s Adagio for Strings gain a new power in the context of this extraordinary narrative. 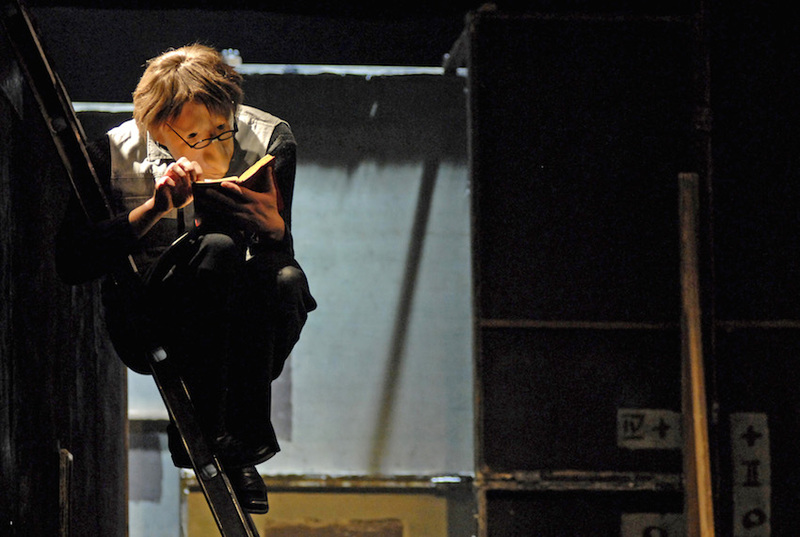 Teatro Delusio has everything, except words. 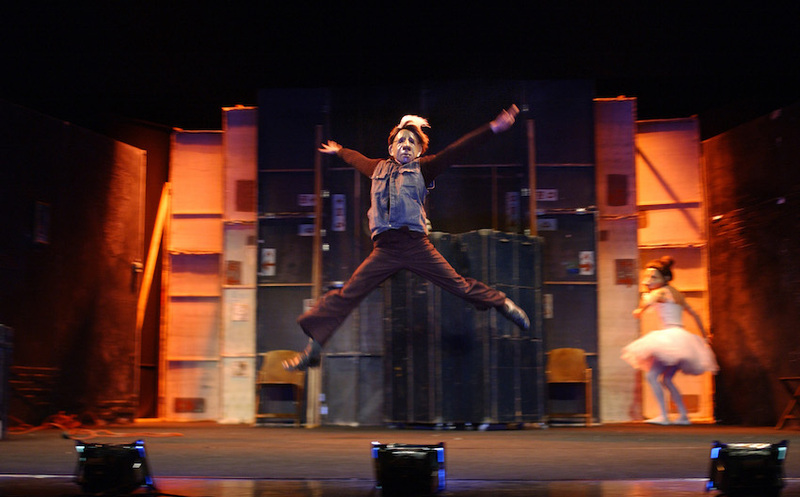 It is perfect for old and young, theatre aficionados and novices. 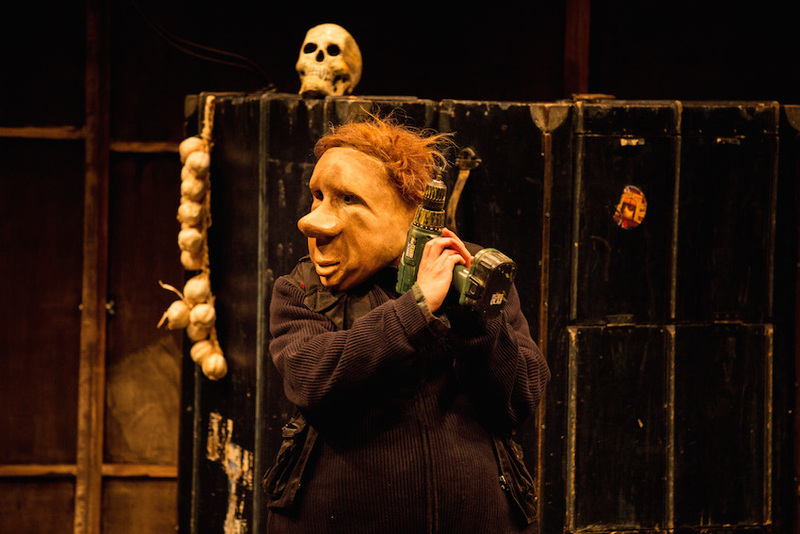 (...) Teatro Delusio is absolutely unmissable." 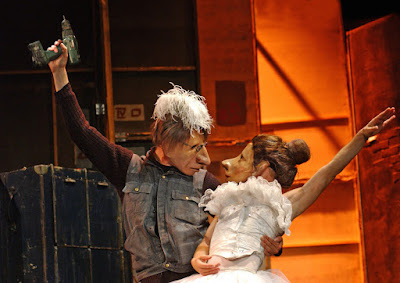 Familie Flöz is an international pool of theater makers, actors, musicians, dancers, directors, mask-, light-, set and costume designers, dramatic advisors and other good souls from ten nations.